Trinity Allyn. 27. Mommy & Wife. CO.
​TrinityAllyn.com has been around since early 2012. Prior to the creation of my site, I was a Freelance Makeup Artist. When I initially created it, I used my site to showcase my makeup artistry and to really get my 'brand' going; Over time I slowly added the element of blogging and fell in love with it. I've always loved to write! It eventually took over & here we are today, over 4 years later! 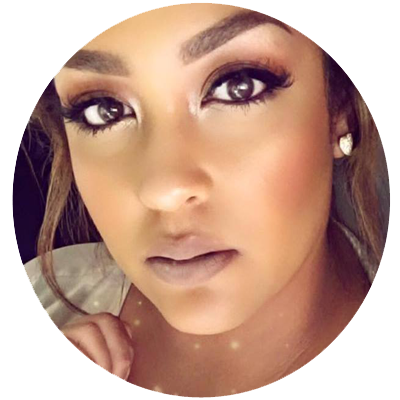 I am very passionate about makeup & beauty products, and I love sharing my thoughts and knowledge with anyone who's interested! In the past couple of years, I was also focused full-time on being a Jamberry Advanced Independent Consultant, selling nail wraps, nail care & products. If you visited my url at certain points during that time, you'd recall being directed to my 'store.' Although I thoroughly enjoyed it, I missed blogging & I didn't have the amount of time to dedicate to being a consultant, so I had to call it quits for the time-being... I still stand behind the brand & I love how much it's grown! My main focus in life is my family. I've been with the love of my life for over 10 years & we have a wonderful marriage and three beautiful sons, one which we just welcomed in July 2016! My life is always busy but I love it & wouldn't have it any other way! I'm thankful that my family loves & supports me in my passion for blogging! GOD. Fam(ily). Makeup. Nail Polish. Liquid Lipstick. TATTOOS. Ripped Jeans. Curly Hair. Flip Flops. Sephora. Iced Tea. Handbags. Shopping. Road Trips. ELEPHANTS. Reading. Watermelon. Bath & Body Works. Organization & Planning. Tupac. JEWELRY. Michael Kors. Winged Eyeliner. Kat Von D. Matte Eyeshadow. Sneakers. Bottled Water. Reality TV. Youtube. iPhone Cases. Glitter. Disney Movies. VICTORIA'S SECRET. Pineapple. Strawberry Margaritas. Falsies. Instagram. Love & Basketball. R&B Music. Too Faced Cosmetics. Starbucks. Date Nights. Caesar Salad. PINK. + MORE!